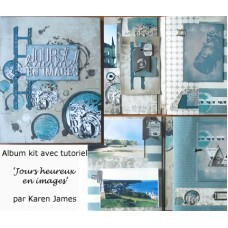 The album measures 20 x 25 cm. The kit includes all the materials necessary to create your.. The kit includes: KaiserCraft Salmon x 1 Bazzill Tahitian Princess x 1.5 Teresa Collins Te..